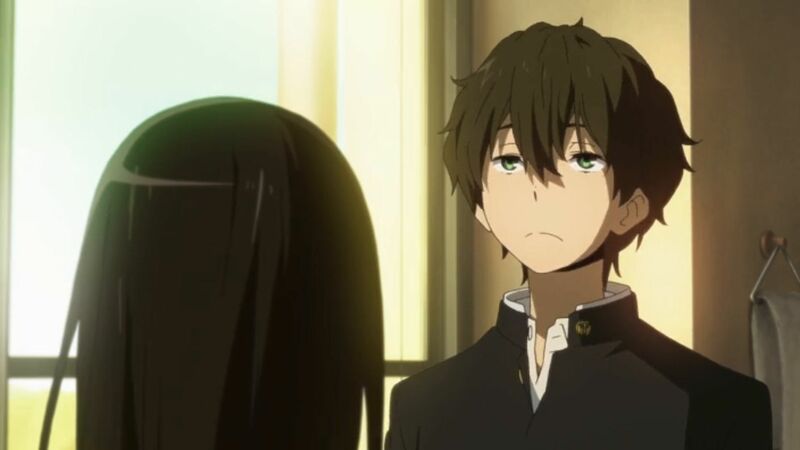 Here's where to watch every episode of Hyōka season 1. Mouseover or tap an episode to see where to stream it. Click or tap the play icon to stream it on the best available service. The Esteemed Classics Club Has Been Restored Apr 22, 2012 The Esteemed Classics Club has been Restored (伝統ある古典部の再生) is the first episode of the anime series. Activities of the Esteemed Classics Club Apr 29, 2012 Activities of the Esteemed Classics Club (名誉ある古典部の活動) is the second episode of the anime series. Inheritors of the Classics Club and Its Circumstances May 4, 2012 Inheritors of the Classics Club and Its Circumstances (事情ある古典部の末裔) is the third episode of the anime series. Past Days of the Classics Club and Its Glory May 13, 2012 Past Days of the Classics Club and Its Glory () is the fourth episode of the anime series. The Truth of the Classics Club and Its History May 20, 2012 The Truth of the Classics Club and Its History (歴史ある古典部の真実Rekishi Aru Koten-bu no Shinjitsu) is the fifth episode of the anime series. To Commit A Deadly Sin May 27, 2012 To Commit A Deadly Sin(大罪を犯すTaizai o Okasu) is the sixth episode of the anime series. Seeing The True Identity Jun 3, 2012 Seeing The True Identity(正体見たりShōtai Mitari) is the seventh episode of the anime series. Let's Go to the Screening! Jun 10, 2012 Let's Go to the Screening! is the eighth episode of the anime series. The Furuoka Deserted Village Murder Case Jun 18, 2012 The Furuoka Deserted Village Murder Case (古丘廃村殺人事件Furuoka Haison Satsujin Jiken) is the ninth episode of the anime series. What No One Noticed Jun 24, 2012 What No One Noticed (万人の死角Ban'nin no Shikaku) is the tenth episode of the anime series. End Credits of the Fool Jul 2, 2012 End Credits of the Fool (愚者のエンドロールGusha no Endorōru) is the eleventh episode of the anime series. Practically Piled to the Ceiling Jul 8, 2012 Practically Piled to the Ceiling (限りなく積まれた例のあれKagiri Naku Tsumareta Rei no Are) is the twelfth episode of the anime series. A Corpse By Evening Jul 16, 2012 A Corpse By Evening (夕べには骸にYūbe niwa Mukuro ni) is the thirteenth episode of the anime series. Wild Fire Jul 23, 2012 Wild Fire (ワイルド・ファイアWairudo Faia) is the fourteenth episode of the anime series. The Juumonji Incident Jul 30, 2012 The Juumonji Incident (十文字事件Jūmonji Jiken) is the fifteenth episode of the anime series. The Last Target Aug 5, 2012 The Last Target (最後の標的) is the sixteenth episode of the anime series. The Order of Kudryavka Aug 13, 2012 The Order of Kudryavka (クドリャフカの順番 kudoryafuka no junban) is the seventeenth episode of the anime series. Are the Mountains Sunny? Aug 20, 2012 Are the Mountains Sunny? (連峰は晴れているかRenpō wa Hareteiru ka) is the eighteenth episode of the series. Anyone Who Knows Aug 27, 2012 Anyone Who Knows (心あたりのある者はKokoroatari no Aru Mono wa) is the nineteenth episode of the series. Sappy New Year Sep 3, 2012 Sappy New Year (あきましておめでとうAkimashite Omedetō) is the twentieth episode of the series. The Homemade Chocolates Case Sep 10, 2012 The Homemade Chocolates Case (手作りチョコレート事件Tezukuri Chokorēto Jiken) is the twenty-first episode of the series. The Doll that took a Detour Sep 17, 2012 The Doll that took a Detour (遠まわりする雛Tōmawari Suru Hina) is the twenty-second and the last episode of the series.